Hello its been a while since I last posted. This is kinda long so please bare with me. Ever since failing to pull Ishtar I’ve set out on an 11 month saving program to summon her during the christmas rerun banner (Life of an F2P with E luck). Since I had leveled up almost all the servants I use I decided to start a second account on new years and in 3 months I’ve got quite a decent roster. I’m all set for lancers, archers, riders (Seriously the best class for F2P), beserkers and avengers. I won’t bother rolling for assassins cause shiki and schahath coming in upcoming events are decent enough so that leaves two classes I’m currently missing strong or versatile options- Casters and Sabers. For Casters I have Hans grailed to level 80 and thats about it. For Sabers I have seig whose damage is underwhelming af and bedi at np1. I went all out for okita with 250 sq but ended up with nothing. So heres the question, which caster/saber should I get for my free SR and could you recommend some other casters and sabers I should roll for? I have my eye on saber frank cause her banner has caster nero as well. Also should I roll for lancer raikou? I already have Cu grailed to 80 and at NP5. While I may not be the biggest fan of Raikou…I got 5 spooks of her when I went all out for Maid Alter. I guess you can’t really call her a spook if she shares that banner, but it is what it is. She’s strong. She’s really, really strong. As in, completely destroy and make redundant both Summer Kiyohime and Ibaraki strong. Her passive are crazy, her Arts card is ridiculous, her targetable Buster buff scales up to 40% (i.e. she can also support in buff stacking with (1.2+1.4 and stargen), her NP makes stars and pierces defense. I could go on and on. She is just superbly powerful and I don’t expect us to choose anything but Tier 1 for her. But we’ll see, we haven’t talked about her at all. If you want Maid Alter too (or Helena, 20% NP charge is never bad! ), it’s a good banner. If you want a well-aging Saber on the cheap, I cannot help but point towards the current Saber banner. An Np2+ Bedivere will set you up nicely, especially after his Interlude. Sieg can handle some challenges and AoE Nodes really well, courtesy of his upcoming NP Upgrade. But Nero/Fran is a decent banner. Nero is great fun and easy to use, but Fran at NP1 is a bit iffy truth be told. That demerit on her NP gain is quite annoying in practice with NP1. Note that Suzuka isn’t great as a substitute for a powerful Saber. She is distinctly right in the middle in performance due to a lack of an NP upgrade. All her competition except Gawain have one and it’s noticeable. She’s better than Gawain, but worse than Salter - although her NP charging is mighty useful. Edit: you have great odds of a Bedivere right now, 10% is ridiculous. For ST Saber, obviously Rama or Lancelot. I have Rama (Lancelot too but he’s lvl 1)Rama is amazing when he crits and has good synergy with Merlin. I will not talk about Lancelot since I don’t have him. This was super helpful, I think I’ll have a go at the Raikou banner now! Also I completely agree with you on the Bedivere part but I feel like he’s one that keeps on avoiding me. I guess I’ll try to for Bedivere now and if that fails I’ll wait for a Nero or Salter rate up (Personally I’d love Rama but his lack of rate ups is frustrating). I’ll definitely go with Cas Gil for the Free SR now. Personally I love Rama because he crits like a truck but his lack of rate ups is frustrating. If I manage to pull a Caster Gil by then I’ll go with Rama for the free SR.
Free SR Saber: Saber alter or Lancelot. Would not recommend Rama unless you have capability to shower him with stars from another servant. Without stars he is extremely lackluster. This is because he needs to crit to be good. Think you should aim your SQ for SSRs instead of SR like lancer raikou (who is no doubt good nevertheless). Yagyu Munenori is one of the best ST sabers in JP and he comes on the second Shimosa banner, after Musashi’s return. He’s 4* and Arts, she’s 5* and Buster. Take your pick. 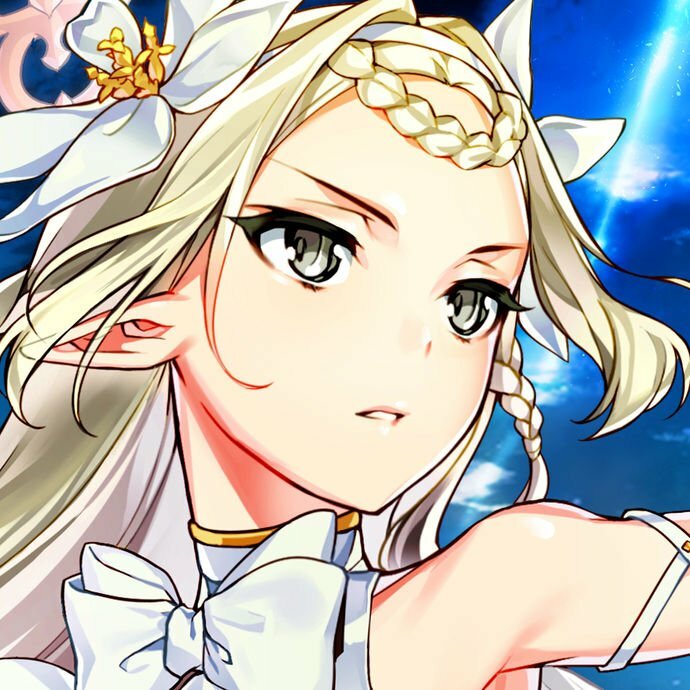 Bride comes on the Pre-CCC banner at the end of April. Gawain will also be on rate-up…he’s good enough for farming at np2 (and he gets his buster buff on the hands stage, for some reason. Yay) and that battery does come in handy. But if you’re looking for an ST saber, just roll on Okita’s banner. Mine is still at 60 and without fous she hits lancers for about 77k at np1. But honestly the SSR sabers in the general summoning pool are the best AOE sabers. Mordred has more utility than Artoria (even after her rank up)…I think self debuff clear is way more useful than a teamwide Charisma especially since the extra damage benchmark won’t often come into play. Mordred plays well in CQs. For casters, Mideast Caster/Queen of Sheba who comes with Salem (early December) is an amazing Arts crit unit. She’s also a 4* and if you’re rolling for Abby, you’ll probably get her too. Okeanos Caster/Circe has a stun on her NP (there’s a video of someone using her with double Euryale to charmlock Holmes on the recent JP Chaldea boys CQ) and a battery, plus poison so she plays well with Robin. Otherwise, Nitocris actually gets a number of rate ups this year. She’s an amazing farmer and while her mats are pretty gross, they’re worth it. Caster Umu and Saber Fran are amazing…Saber Fran would be an SSR in disguise if they didn’t keep those demerits from her berserker form.